A Kids DJ birthday party is a unique experience which is packed full of great music, party games and lots of fun for kids ages 4-12 years. Everyone can participate in all the fun at our parties no matter what their age or ability. Our superstar Kids DJ’s will guide the children through a non-stop mix of music and awesome party games that are designed for the age of the children at the party. The Kids DJ team have created some amazing games that will keep the kids entertained and enthralled. These brand new games are combined with a host of much loved traditional games that always go down a treat. Younger children don’t enjoy being ‘out’ so we often play non-elimination games, which are fun for everyone. Older children will enjoy faster moving, super-cool team games. It doesn’t matter how many children are invited to your party, we host house parties with only a handful of children and occasions with dozens of kids. We can host a Kids DJ party in any size venue throughout the North West. We are often seen entertaining in church halls, community centres, social clubs and private houses. We also host high-class parties at 5 STAR venues across the region. 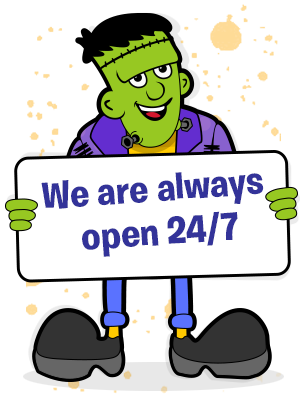 Our stress-free parties are great for parents, simply hire a venue, provide the food (don’t forget the cake) and we will do the rest…. Keeping everyone completely entertained! 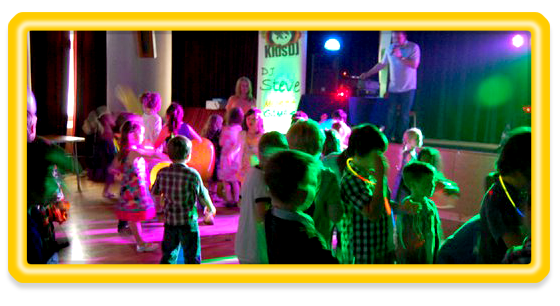 Kids DJ host family parties for all kinds of occasions which include christenings, holy communions and even weddings! Our family parties are great fun for all your family and friends. We keep the children completely entertained with lots of traditional and brand new party games, as well as playing music for all ages. We will make sure that everybody at your special occasion is catered for whatever their age. We never leave anyone out and guarantee big smiles at the end of the day. We do various family packages, some people prefer shorter parties of just a couple of hours and others like a longer occasion of 3, 4 and sometimes even 5 hours.